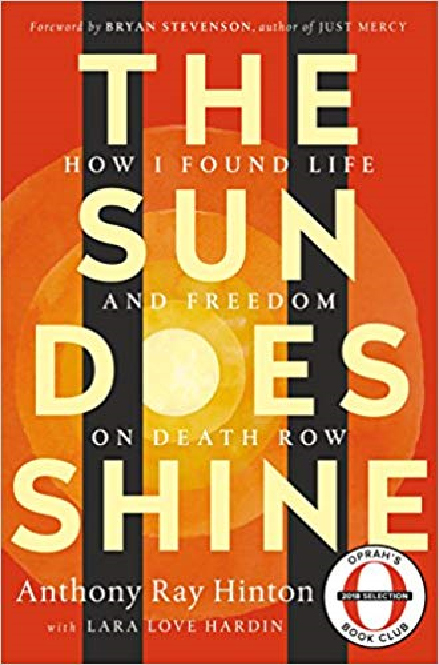 Salem Heights was the gathering place for a discussion of the book THE SUN DOES SHINE: How I Found Life and Freedom on Death Row by Anthony Ray Hinton with Lara Love Hardin. The twelve women who came together were Sisters, lay women, black and white, members of various religious denominations. This powerful book recounts the real life experience of the author who spent 30 years on death row for a murder he did not commit. It is a story that moves from despair to hope, from hate to forgiveness, from mere endurance to choosing life and, ultimately, results in his exoneration. The inside look at a failed justice system and life on death row is a must read, a book you will want to share in light of current efforts to reform our justice system. Be prepared to experience a gauntlet of emotions as you enter into Mr. Hinton’s struggle for life and freedom.